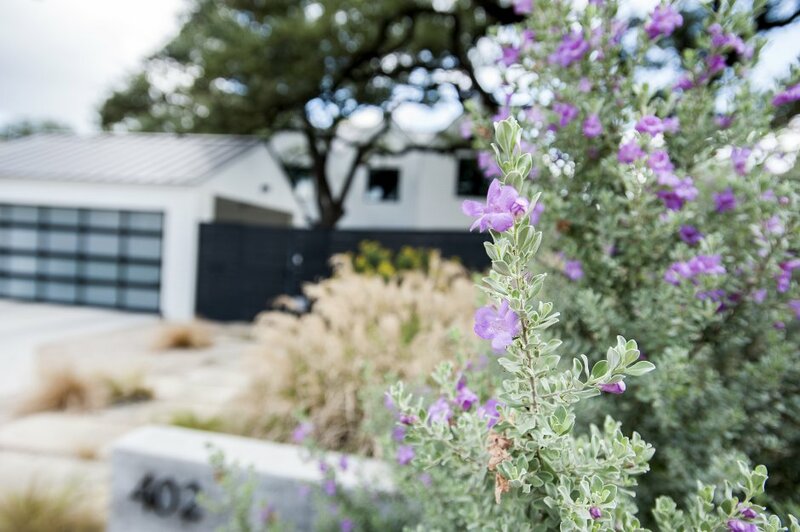 The front of this home is framed by a custom fence, made from cattle panel, and covered in vines. 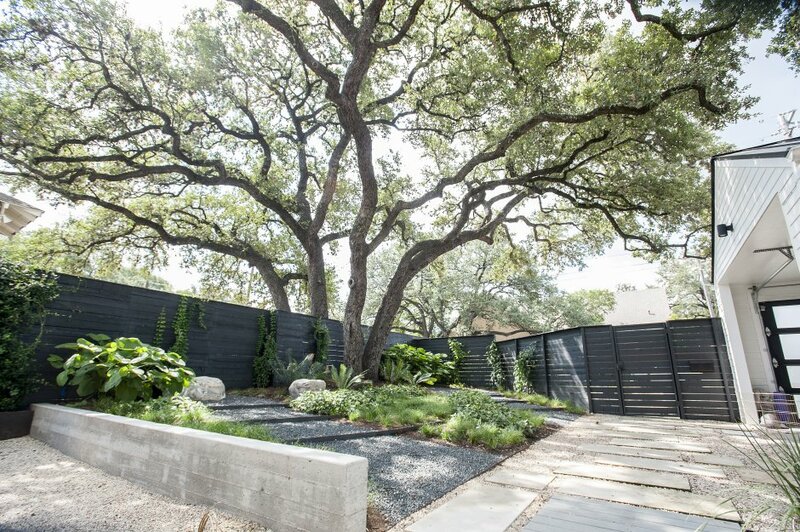 It is a friendly height that keeps small children in and is still open to neighbors. 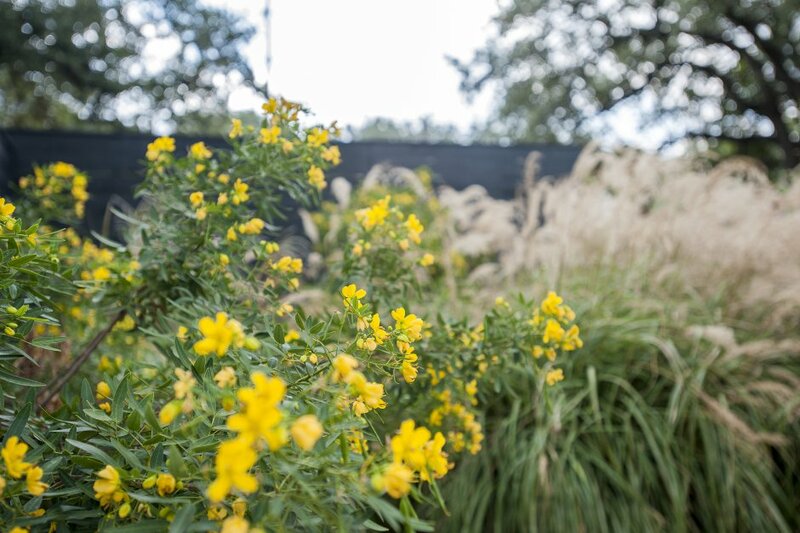 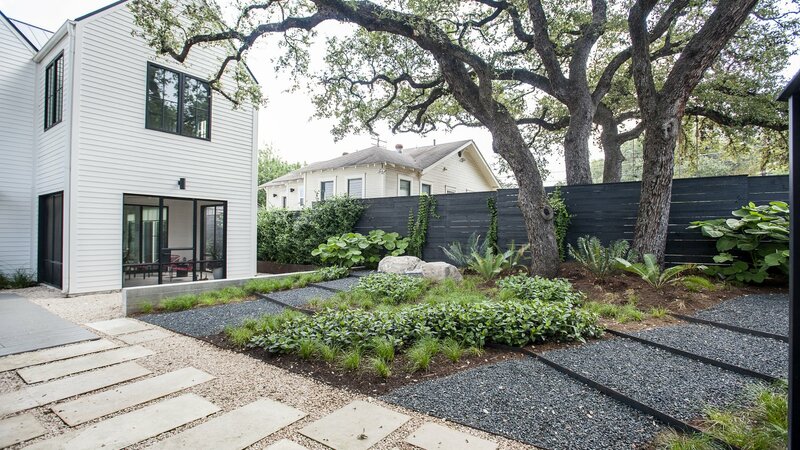 A casual landscape feel, with loose informal symmetry, easily placed flagstone, and lots of blooming plants like butterfly vine, crepe myrtle and flowering senna make this space relaxed. 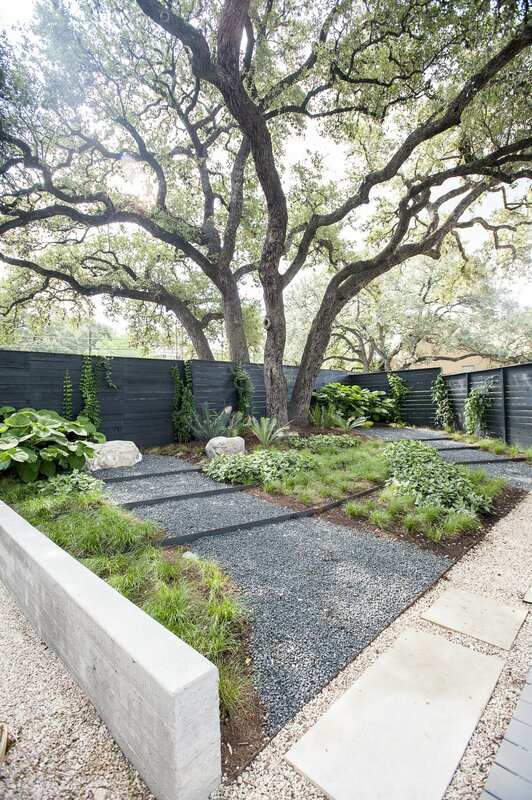 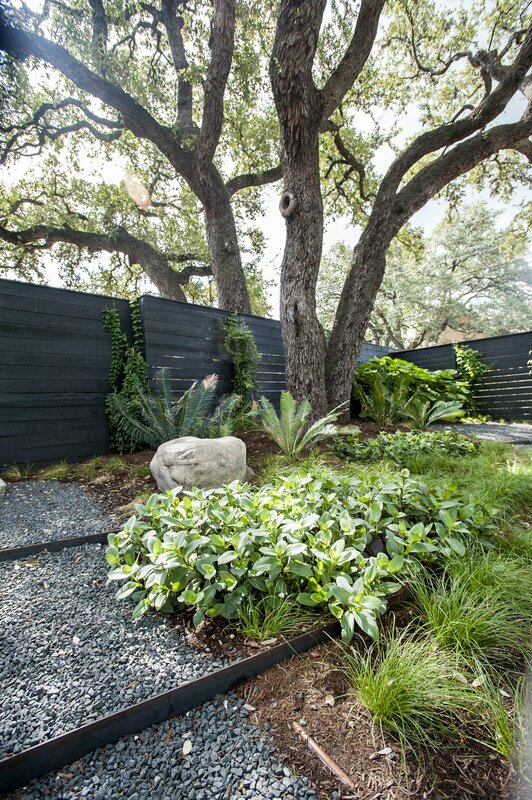 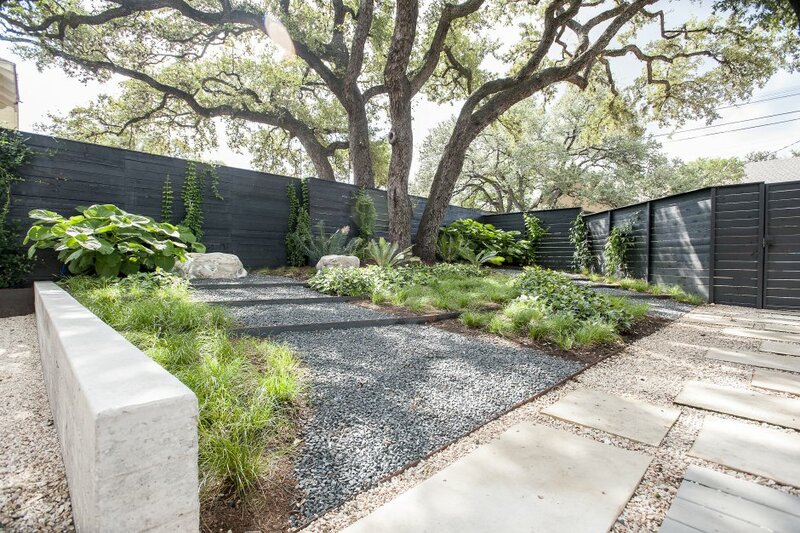 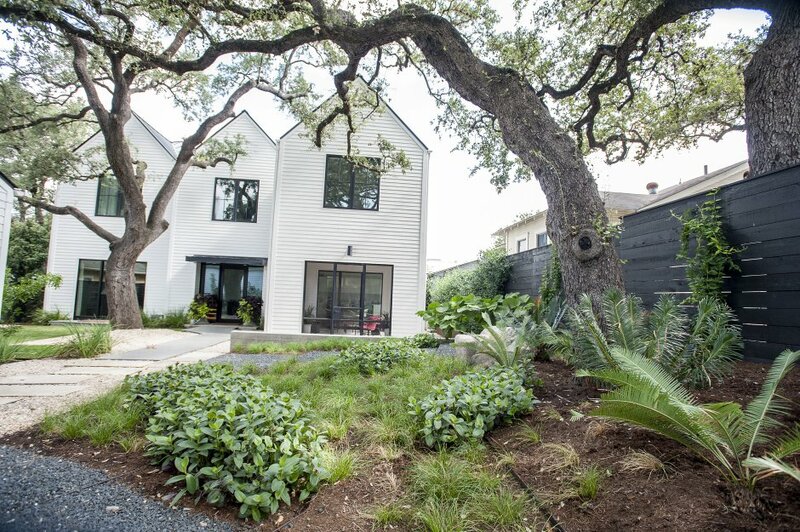 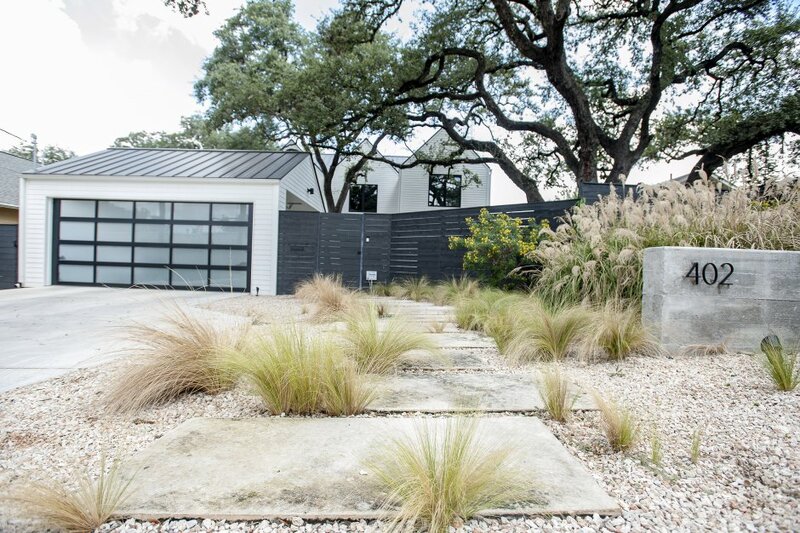 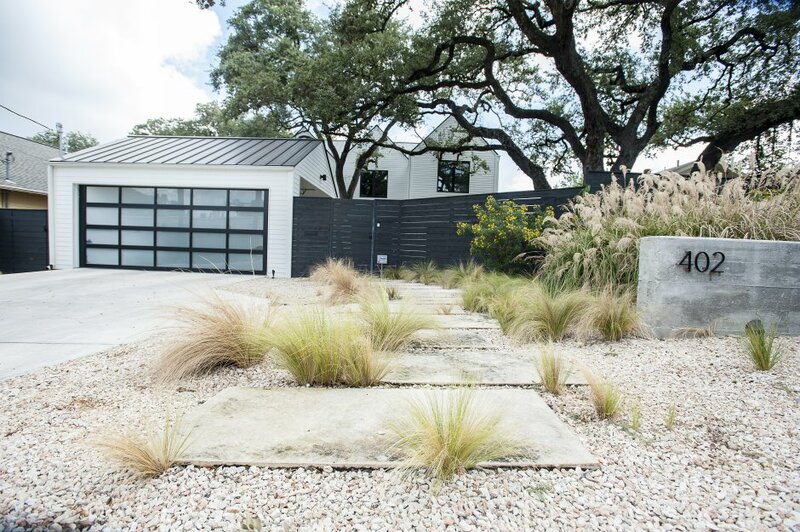 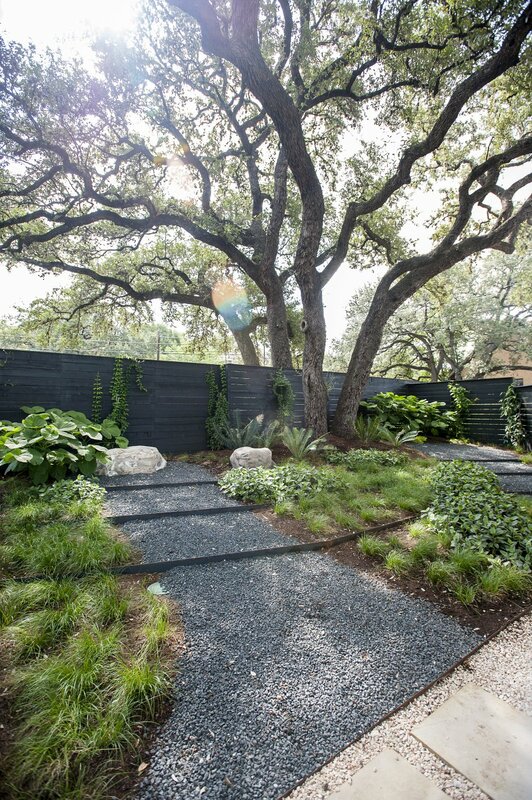 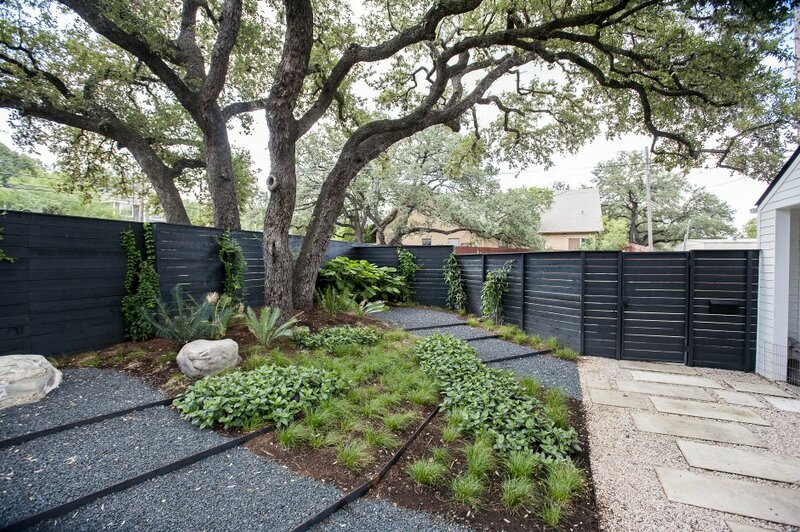 It fits in with the style of Austin design with a mix of yucca, blooms, bungalow and flagstone.